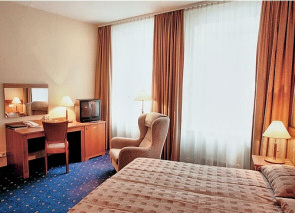 Family-owned, three star, business class Vilnius hotel Rinno is worth mentioning, as it is quite popular with tourists, business travellers and some well known artists. 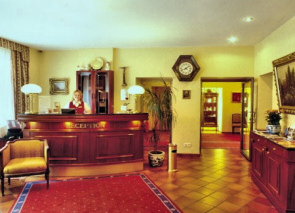 The hotel is centrally located, reasonably priced and offers a friendly, homely atmosphere. Rinno isn’t situated in the heart of the Old Town as others we featured above, yet it stands on a rather quiet street and the main streets of the Old Town are only about 10 minute walking distance away. 17 modern Scandinavian style rooms are bright and comfortable with white, blue and wooden deco dominating. 11 Superior rooms also have a double or twin bed, Satellite TV, shower, mini-bar and hairdryer. 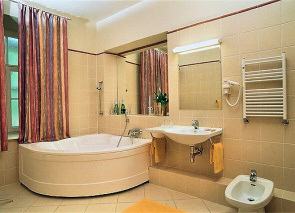 4 Luxury rooms have double or twin bed, Satellite TV, mini-bar, hairdryer and exceptionally large bathrooms. All rooms have Wireless Internet connection. 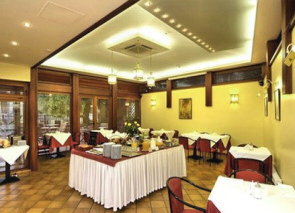 The guests that stay at the Rinno Hotel in Vilnius often mention the delicious breakfast served by the hotel, they also offer an assortment of tasty cooked-on-request pancakes and omelets. Other services include luggage storage room, pick-up at the airport, ticket booking, car and van rental, private parking, dry cleaning, conference room and guided tours. Notes: Pets are allowed on request. Charges may be applicable. If you wish to read other people’s reviews who stayed at the Rinno Hotel, check out room rates and available booking dates, click on the link below.